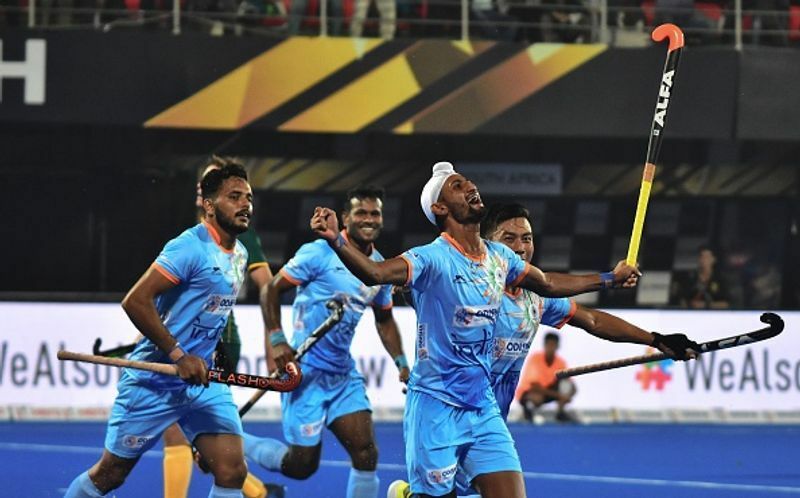 Bhubaneswar: Hoping to recreate history after 43 years, hosts India started their hockey World Cup campaign on a rousing note, blanking South Africa 5-0 in their opening Pool C match in front of a packed Kalinga Stadium here Wednesday. 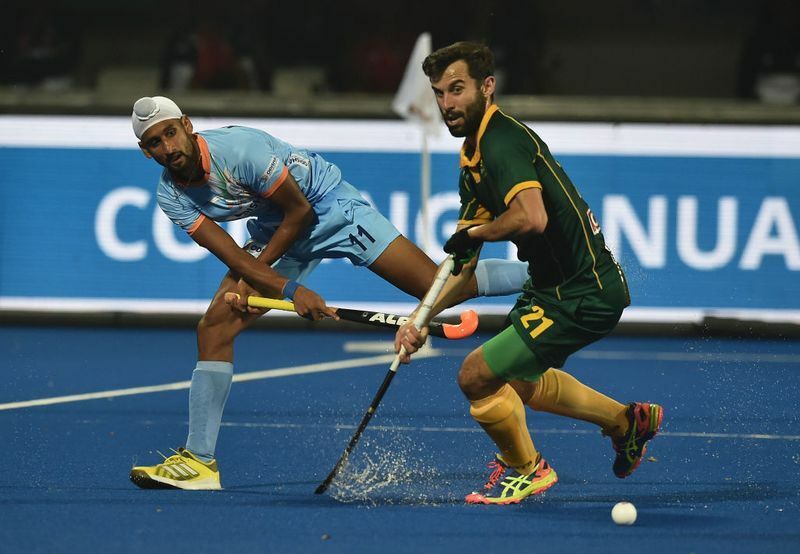 India's first chance came in the third minute when skipper Manpreet Singh found an unmarked Mandeep alone inside the box with a defence-splitting pass but the striker failed to get his stick to the ball. 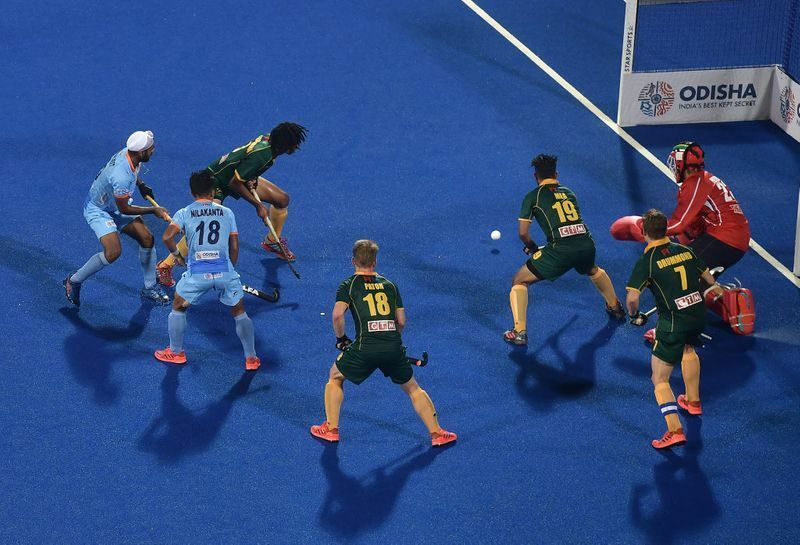 But India took the lead soon when Mandeep scored from a rebound in the 10th minute from the hosts' first penalty corner. It was Mandeep who earned the penalty corner for India after beautifully controlling a long scoop from Harmanpreet Singh. 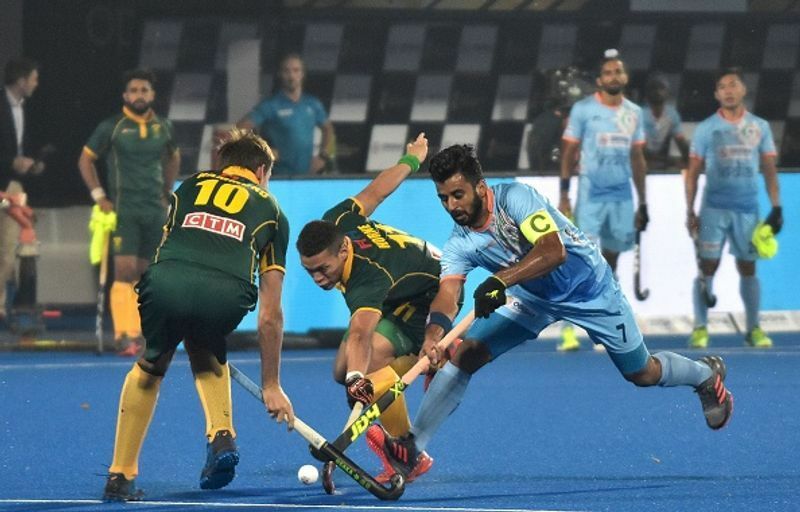 He then found himself at the right place at the right time to slot home after Harmanpreet's high flick was saved by South Africa goalkeeper Rassie Pieterse. 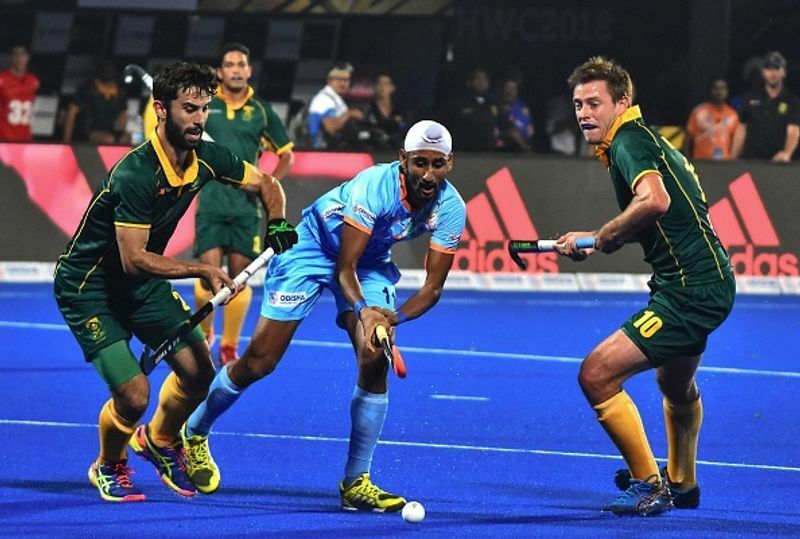 India scored three fine field goals in a span of four minutes to take the match out of South Africa's reach. Then, a diving Lalit deflected in a diagonal pass from Akashdeep before Simranjeet was once again at the thick of things, scoring his second of the day from India's fourth penalty corner. In tomorrow's matches, Olympic champions Argentina will play Spain in Pool A while New Zealand will take on France.